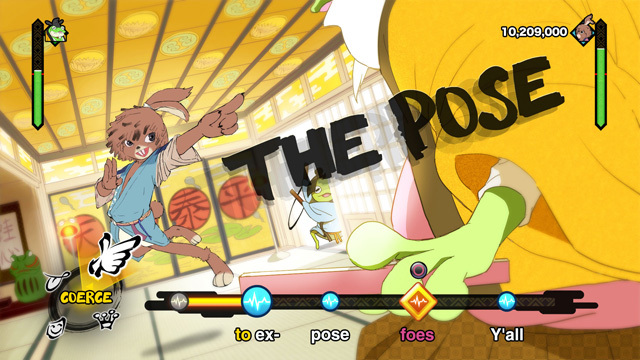 The much-ballyhooed Project Rap Rabbit has ended its Kickstarter campaign falling short of its initial goal. The proposed rhythm action game fell far short of its proposed £855,000 goal, landing at £162,057 with 2,920 backers. The campaign launched a month ago with criticism towards its high tier goals, including a Nintendo Switch version and various special physical editions. …Though our Kickstarter campaign hasn’t gone the way we’d intended, our early stages of development have left us more determined than ever to bring Project Rap Rabbit to life. While you didn’t see Project Rap Rabbit at any conferences or booths during E3 week, we had a very, very busy E3 filled with meetings about our vision for the future of rhythm-action. So what happens next? At this moment it’s far too early to say, but thanks in part to your overwhelming support we know that our vision for Project Rap Rabbit hasn’t gone unnoticed. As in the words of one Parappa the Rapper, it’s “gotta believe”. The failed Kickstarter game was the collaboration between the Japanese studios iNiS J and NanaOn-Sha to create a new Rhythm 2.0 action game inspired by Japanese mythology and epic rap battles. Whether it ever sees the light of retail or not, stay tuned for more on the rascally rabbit.